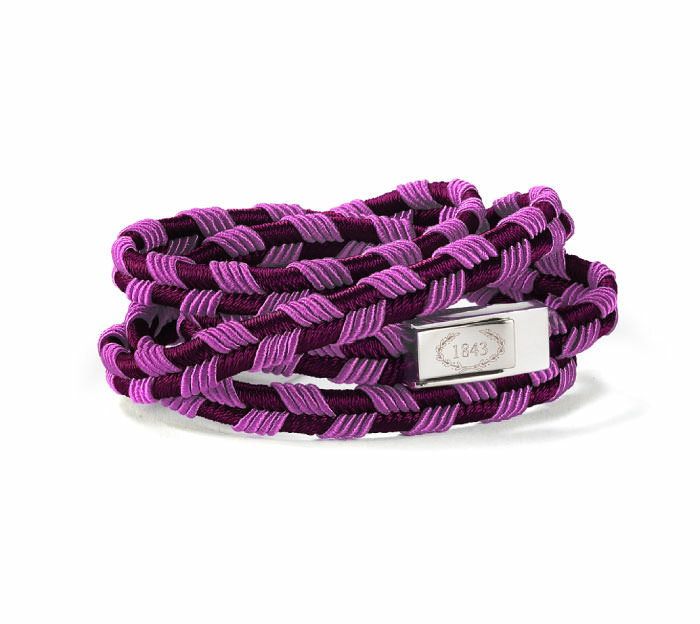 Cocktail Bracelet was born by the determination to share art, passion and emotion. An accessory that takes shape from passementerie know-how accrued during centuries. A soutache, once used as distinctive sign of an élite, reinterpreted today: friendship, relax, joyousness and sharing. Fifty bracelets which are entirely Made in Italy: alcoholic and alcohol-free, shaken, not stirred, to beworn responsibly. A cocktail for everyone’s taste. La The recipe is a little artisan’s secret: acetone drops. Acetone is often employed in the manual processing of wood silk, also known as rayon, because it neutralizes its fibres, melding and fixing them through its evaporation. The box of each bracelet includes the instructions and an acetone ampoule for its custom preparation.